The past week was an exciting time for AIMS's presence in Newfoundland and Labrador. On Thursday, we hosted our first Friends of AIMS event in the province at the Sheraton Hotel. Our Chairman John Risley spoke to an audience of 100 business and community leaders in St. John's about a strategy to grow the economy. 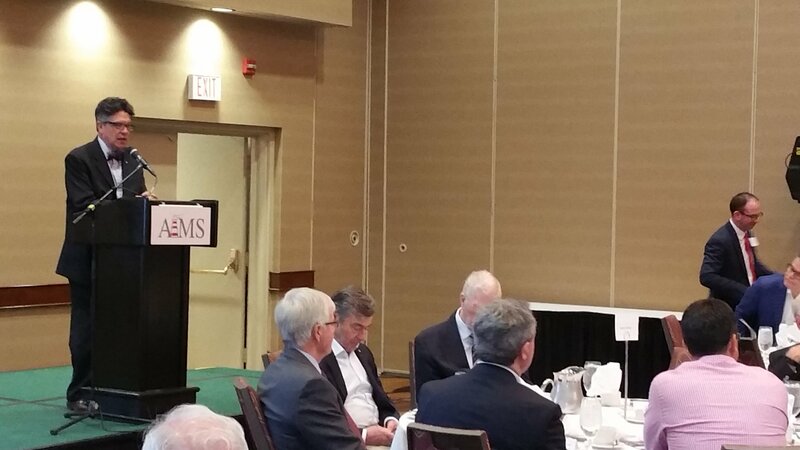 We were also thrilled to have the Honourable John Crosbie, who briefly addressed our guests at the luncheon. Mr. Crosbie served on the original board of AIMS and offered strong praise for the work of the Institute. Expanding our work and presence in Newfoundland and Labrador has been a central part of our strategy to make AIMS a more Atlantic institution. Since appointing Senior Research Fellow Ed Hollett earlier this year, we have already noticed more engagement from our Newfoundland and Labrador audience. We are committed to better serving the whole region with market-oriented public policy research. Please read more below about our event and the Newfoundland project. As always, we appreciate your readership and support. To make a donation, visit AIMS.ca/donate. 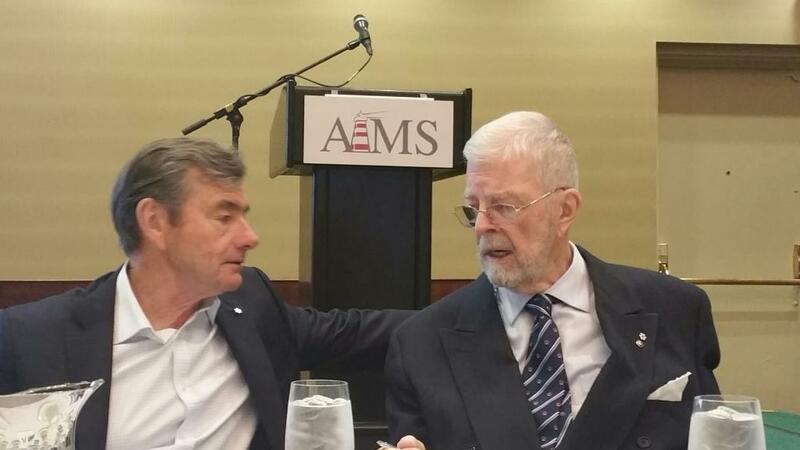 Over one hundred people filled the Sheraton Hotel on Thursday for a Friends of AIMS luncheon featuring our Chairman John Risley. Guests were greeted with remarks from AIMS President Marco Navarro-Génie, Newfoundland Vice-Chair Leo Power, and former board member Hon. John Crosbie. Crosbie reflected on his time with AIMS positively, and stressed the importance of the institution in forming good policy. During lunch, Risley took the stage to discuss the state of the Newfoundland and Labrador economy. While the fiscal challenges faced by the province are well known, his presentation focused on the way forward. Risley spoke to a need to develop a plan of action to move toward prosperity. The key question, he said, is to identify the province’s competitive advantage and create a strategy to capitalize on it. He stressed the need to pursue options that you can be “world class” in. The strategy must be community-based, and the best time for action is now. The event concluded with a short Q&A session and some final remarks. The luncheon was presented by the Friends of AIMS program. For more details on Friends of AIMS, click here. Due to limited space, RSVP is required. The event is free to attend. This Spring, AIMS surveyed dozens of leading minds in Nova Scotia about the province’s future. Respondents discussed their concerns about Nova Scotia, including low growth, decaying public institutions, and demographic stagnation. To reverse decline, this group proposed many original and helpful insights for public policy reform. Your charitable contribution now will help us build a stronger legacy and make a difference in the lives of Atlantic Canadians. Please consider contributing to AIMS. Copyright © 2017 Atlantic Institute for Market Studies, All rights reserved.